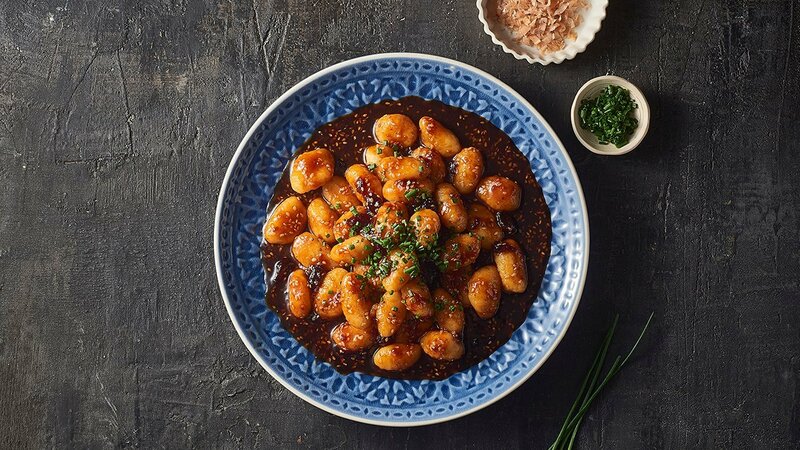 A modern twist on a classic pasta dish just by giving the Italian staple a sticky sweet chilli, soy and tomato sauce. Cook gnocchi as per the instructions on the back of the pack. Heat sesame oil in a pot. Add in five spice and stir until combined. Add in vinegar, honey, KNORR Thai Sweet Chilli Sauce GF, soy and kecap manis. Pour in the KNORR Gluten Free Pronto Napoli and sesame seeds. Add Gnocchi to the sauce and stir until combined. Sprinkle extra sesame seeds, chives and bonito flakes.